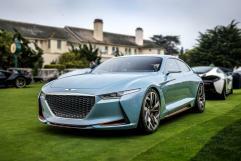 Genesis, the new luxury brand of Hyundai Motors, chose Centigrade to create a bespoke luxury experience for Korean and American journalists attending the Monterey Car Week. Centigrade focused the programme not only on automotive events, but included unique lifestyle experiences in San Francisco, Napa Valley and the Monterey Peninsula. The journey began with a drive from San Francisco to Napa Valley in the recently released Genesis G90. Guests were able to experience the unprecedented level of innovation, performance and luxury design while driving through the picturesque roads of Napa Valley and the famed Golden Gate Bridge. 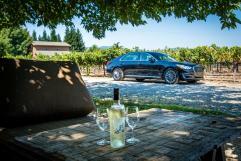 Visits to both boutique and top brand wineries echoed the prestige of the Genesis G90. A private tour of the Fisher Collection at the recently re-opened San Francisco Museum of Modern Art surrounded the Genesis group in the best of design, art and architecture. A breathtaking drive on Highway 1 to Monterey welcomed the Genesis group to the Monterey Car Week. Genesis sponsored the VIP Red Carpet Club at the 25th Anniversary of McCall’s Motorworks where the best of jets, cars, food and wine were enjoyed by over 3000 attendees. The Pebble Beach Tour d’Elegance was the perfect backdrop for lunch in Carmel and an unforgettable drive on the famed 17-Mile route. 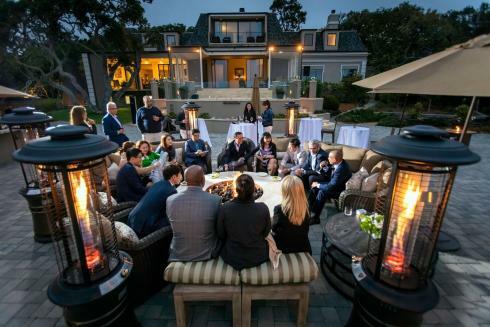 The Genesis Home, with views of the Pacific Ocean served as a gathering spot for the group, complete with a fire-side chat between Genesis executives and the journalists to discuss the unique qualities of the brand. An early morning start at The Quail, A Motorsports Gathering gave the journalists an opportunity to view the press conferences, product launches and enjoy five-star food and wine courtesy of the Peninsula Hotel Group. The weekend wouldn’t be complete without a day at the races – the Rolex Monterey Motorsports Reunion, to be specific – enjoyed from the hospitality suites. The Genesis dinner, featuring exquisite Californian cuisine, took place at the Genesis Home for guests and journalists. The G90 was featured under the lights at the home and live music completed the atmosphere for an extraordinary evening. This special week culminated at the Pebble Beach Concours d’Elegance where Genesis guests relaxed at their own hospitality suite overlooking the 18th green. “Thank you and your team once again for the amazing week we had in Northern California. Compliments to you and your team for the selections of accommodation, tours, dining, hosting venues and overall program, in a nutshell: fantastic and very well done!! !